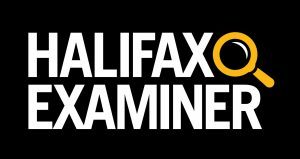 This column originally appeared in the Halifax Examiner March 12, 2018. What is it about Tories seeking their party’s leadership and their seemingly painful need to gymnast-twist the once liberal value of freedom of speech for their own illiberal purposes? Last spring when he was running to become federal Conservative Party leader, Andrew Scheer threatened to cut off federal funding to any university that didn’t foster what he called “a culture of freedom of speech” on campus. His threat/promise came on the heels of conservative-inflaming public controversies at a number of universities: a cancelled pro-life event at Wilfrid Laurier University, a decision by the McGill Daily student newspaper to stop publishing articles it claimed “promote a Zionist worldview” and whatever outrageous gender-pronoun inferno of the week University of Toronto professor/self-publicist Jordan Peterson was stoking at the time. The freedom of expression concerns may have been legitimate, but it was all clearly served up as the raw-meat main dish for the party’s right-wing base, whose understanding of actual freedom of speech is… shall we say, tightly circumscribed and rudimentary at best. 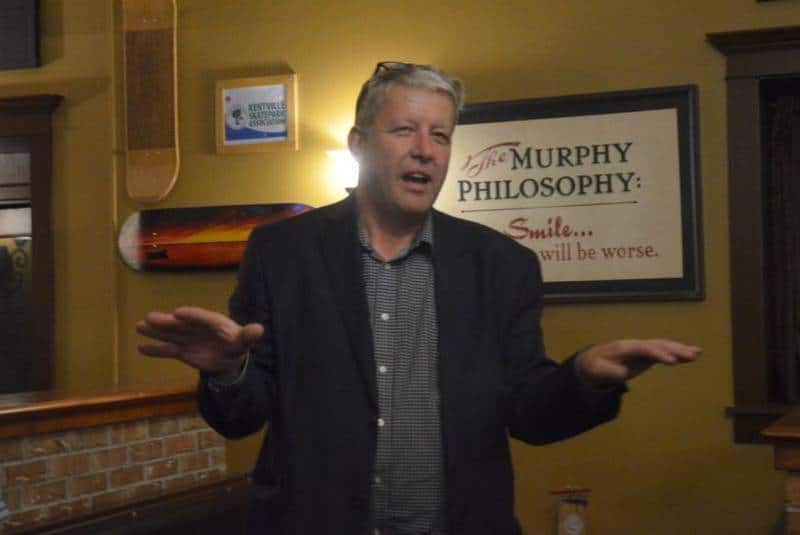 So it should have been no surprise to hear Nova Scotia Tory MLA and wannabe Progressive Conservative party leader John Lohr ruminating last week about what he had divined as “a disturbing trend” in which bad universities stifle good free speech. 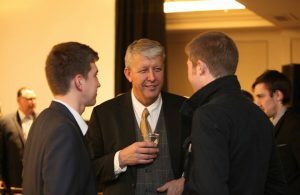 In fact, reports Halifax journalist Andrew Macdonald’s subscription-based news site, The Macdonald Report, Lohr’s two top aides in his leadership campaign are Mike MacDonell, “Conservative leader Andrew Scheer’s top strategist, who was operations manager of the Scheer federal Tory campaign,” and Steve Outhouse, a former chief of staff to Harper cabinet minister Pierre Poilievre (he who once infamously questioned the value of compensating indigenous victims of residential schools, and who blithely declared after the Boston Marathon bombing that “the root cause of terrorism is terrorists”), who is now Lohr’s campaign manager. The duo would appear to be hardened veterans of the Tory culture wars. 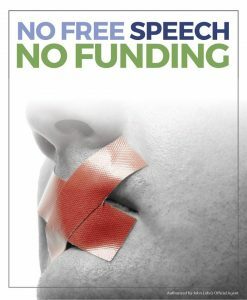 Lohr’s “No Free Speech” poster. Those are the culture wars in which freedom of speech is a code, not a value. Let’s put John Lohr’s ringing endorsement of free speech — “[Universities] should stand up for free speech and include all views in debates” — to the test. I Googled a recent local freedom-of-speech-on-campus controversy. Wow. Certainly sounds like the university nanny state run amuck. Grist for any self-respecting freedom-of-speech defender’s mill? Right? Not so fast. Khan is a Muslim. She was calling out Canadian colonialism. And she was scrapping online with white conservatives, including Big C conservatives of the Nova Scotia Young Progressive Conservative Association. In fact, when I searched on the terms “John Lohr” and “Masuma Khan,” there was only one (sort-of) relevant hit: a Hansard report of the House of Assembly proceedings for October 23, 2017. 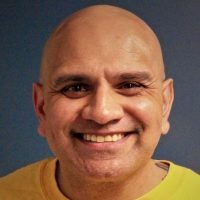 Khan’s name appeared in the daily “Statements by Members.” NDP MLA Lisa Roberts’ statement that day expressed “concern and appreciation and admiration” for Khan, who was at the time “the subject of a disciplinary process” at the university. There was no indication in the transcript that some-honourable members — Lohr or anyone else — offered up “hear, hears” for Khan. Hmmm… What makes this freedom of speech controversy different from the Khan case? Well, lots of things, but let’s start with what it makes the Mehta case a better issue for a Tory leadership contender looking to score wink-wink-nudge-nudge points with local bigots. One can almost feel the breeze from the nodding heads of the bobble-headed alt right. One can argue — I do — that Rick Mehta is entitled to his dumb-as-a-dustball opinions and to shout them from the social media and conventional media rooftops to his publicity-seeking heart’s delight. And he can appear as often as they’ll have him on right-wing/ alt-right/conspiracy web sites like Rebel Media and The Daily Caller too. The university shouldn’t be able to sanction him for any of that. That said, I do understand Acadia’s concerns about both the manner in which Mehta is alleged to be advancing his views in his classroom, and also the class time he might be spending proselytizing. To make matters worse, Mehta, on the one hand, talks as if he simply wants to promote discussion on “issues that are not up for debate,” but, on the other, he has made the point in interviews he is not offering his opinions but “objective statements... I’m not giving my opinion… People are more than welcome to refute me with real evidence, but that has not happened yet,” he says, appearing to ignore the clear power imbalance between him and his students, not to mention his easily refuted non-objective opinions masquerading as facts. But the reality is that — as is all too often the case when it comes to freedom of speech —this was never about free speech anyway.